The Minister of Environment and Tourism is mandated to appoint the Council's eight members. Four of the members must represent the interests of the State, while the other four members must represent the interests of organisations, associations or institutions concerned with environmental matters. Members are appointed to serve for an initial period of three years. The Environmental Commissioner is an ex officio member, but may not vote in meetings. Staff members from the Ministry of Environment and Tourism are mandated to provide clerical and secretarial services to the Sustainable Development Advisory Council. Notification of the appointment of the Sustainable Development Advisory Council members was made in Government Gazette No. 5109 on the 31st December 2012. 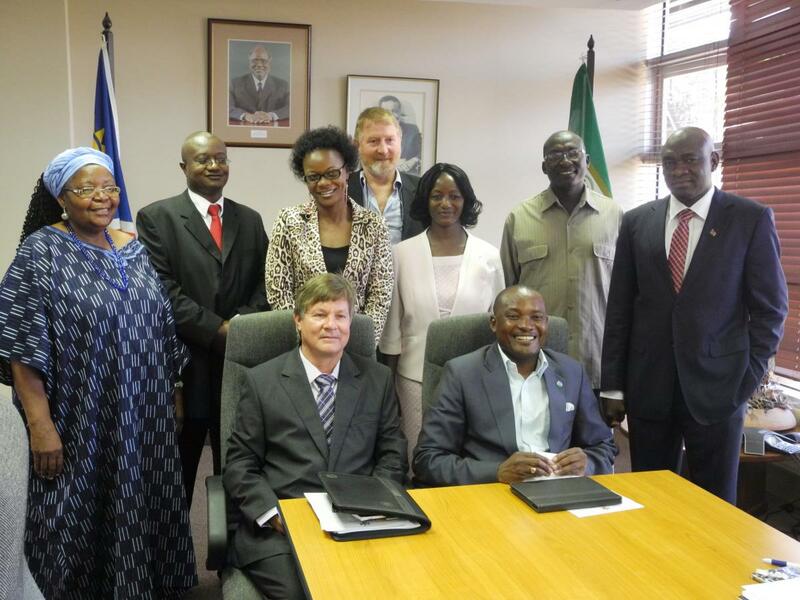 Honourable Pohamba Shifeta, the Deputy Minister of Environment and Tourism, formally inaugurated the Council on the 28th January 2013, as shown in the photograph. He called on the Council to provide innovative and robust advice to the Ministry of Environment and Tourism so that the wise management of natural resources can drive poverty alleviation in the country. » Read more about the inauguration of the Council.